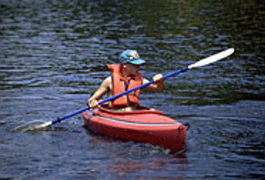 The following is a list of overnight camps that also offer a day camp option. 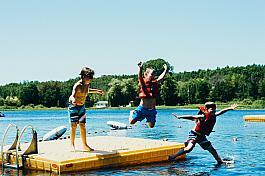 For a complete list of West Michigan day camps, Click Here. 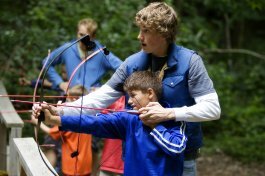 The Michigan Crossroads Council offers a wide variety of outdoor programs to meet the needs & interests of Scouts, Families, and the Community. From weekend activities, to day camps, to overnight summer camps- a wide variety of program opportunities are offered at our year-round camps across the great state of Michigan. Scholarships are available to attend this camp. 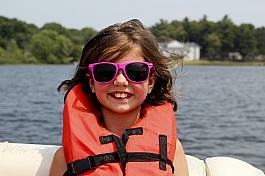 Girls do not have to belong to a scout troop to attend Camp Anna Behrens. A $15 fee is added to the registration fee when girls who are not scouts sign up. 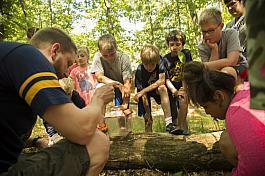 John Ball Zoo's Summer Zoo Camp is a unique, hands-on learning experience for children ages 3 years to those entering 9th grade! Each class follows a specific wildlife theme and uses a variety of methods to stimulate the learning process (role-playing, behind the scenes tours, games, stories, songs and more). Special projects are often brought home throughout the week. Each class has their own room with a qualified instructor and educational aide, and will frequently spend time in the zoo and park setting. Day camp and overnight programs are designed for the age students will be at the start of class or for the grade level students will be entering in fall. Class sizes are strictly limited to provide a high quality experience. 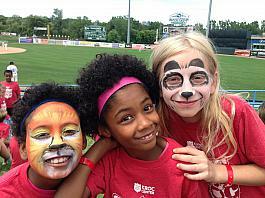 The Salvation Army Kroc Center's Camp Kroc is a faith-based day camp program for ages 5-12 in which children can play and grow in a safe and positive environment. 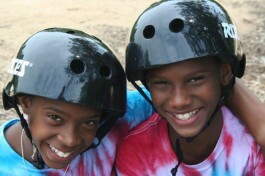 Campers enjoy swimming, drama, music, arts & crafts, group games, sports, bible lessons, and other fun activities. Lunch each day is included in the cost of camp. We offer single-day camps, week-long camps during spring break and Christmas break, as well as 12 weeks of summer day camp.